In the year 2000, Energy Family shifu and dizi went to Singapore and sounded the Bell of Peace for the first time. 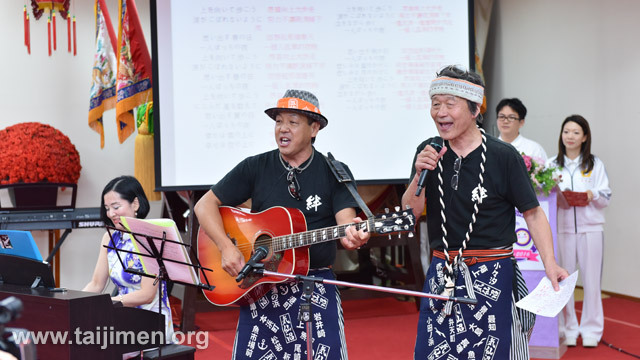 In the same year, they chartered a plan for Korea to build bridges for cultural exchange between Taiwan and Korea, overcome the 'freezing point' in Taiwan-Korea relations—the 1992 severing of formal ties— creating new records on a Taiwan-Korea ice-breaking journey and turning a new page in the history of non-governmental diplomacy. 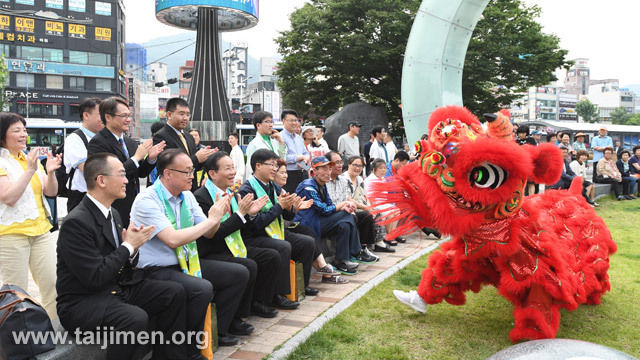 In 2016, they came to Korea again and took part in the 66th Annual UN DPI/NGO Conference and promoted the concepts of love and peace through qigong, martial arts, music and dance, and so on. 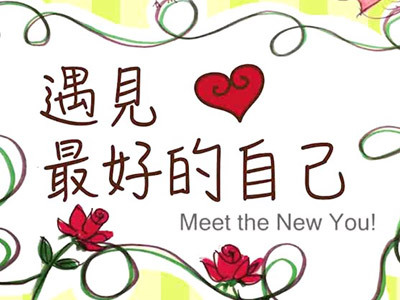 This centuries-spanning cultural exchange touched the local population and the overseas Chinese endlessly. 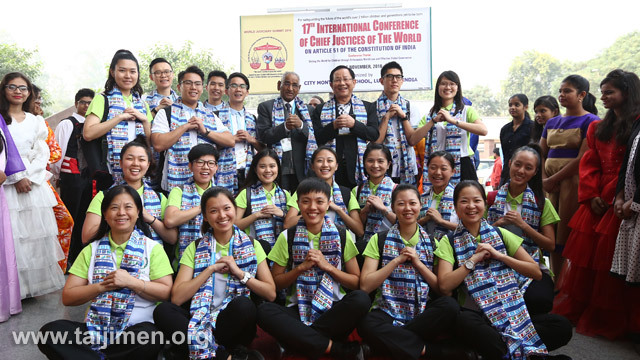 In traveling the world, Tai Ji Men has visited 71 countries. Why is India the only one that it has visited seven times? Conscience education is the method that influences the world most quickly and most profoundly. To establish children's faith in love and peace from a young age, to cultivate that broad heart that loves the self but also loves others, is particularly important. This is also one of the reasons why Tai Ji Men has visited India many times. In 2016, at the opening ceremony of the International Conference of Chief Justices of the World, seven serving and former heads of state were invited to sound the Bell of Peace and promise to fulfill their desire for and commitment to peace. 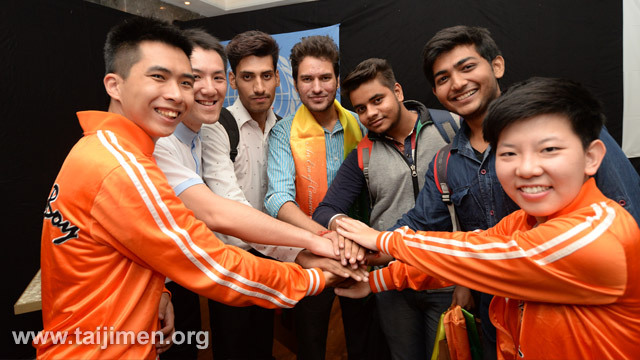 At the same time, Tai Ji Men youngsters took part in a forum, sharing with assurance and composure their love and concern for the world, reflecting the new generation's attainments in terms of international outlook and world citizenship. 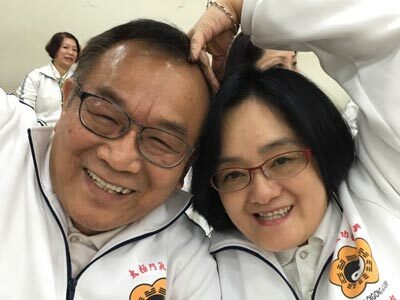 Sou Sawamura, president the International Martial Arts Federation Japan Branch, enjoys a sympathetic love affinity with Tai Ji Men martial arts colleagues and Dr. Hong, whose kindly feelings resonate with one another. Apart from martial arts, there are also musical exchanges. 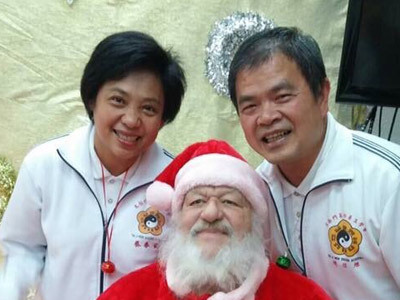 Tai Ji Men artifies qigong martial arts studies with ancient culture and new life, and, through cultural exchange, kindles the sparkles in people's hearts.